Once you see the title, you know I'm seriously all ready for Christmas and New year! Check out my striking red hair courtesy to ProTrim Hair Salon @ 313 Somerset. 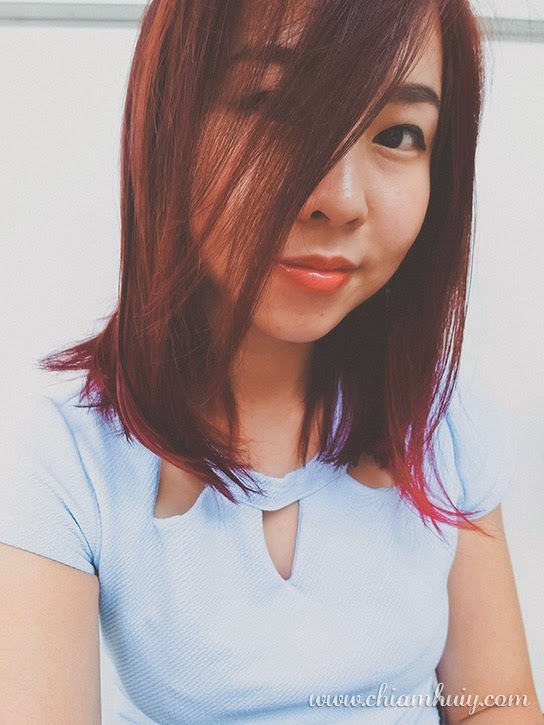 Decided to go for a loud change because once I start work next year, I won't be able to play with bright colours anymore, hence the colour red! My hair roots are coming out and they look horrendous. As my hair ends still have the remaining bleached parts from my previous visit to Pro Trim, my colorist Selyn decided to make use of that part and did an ombré hair for me. The results was simply fabulous. 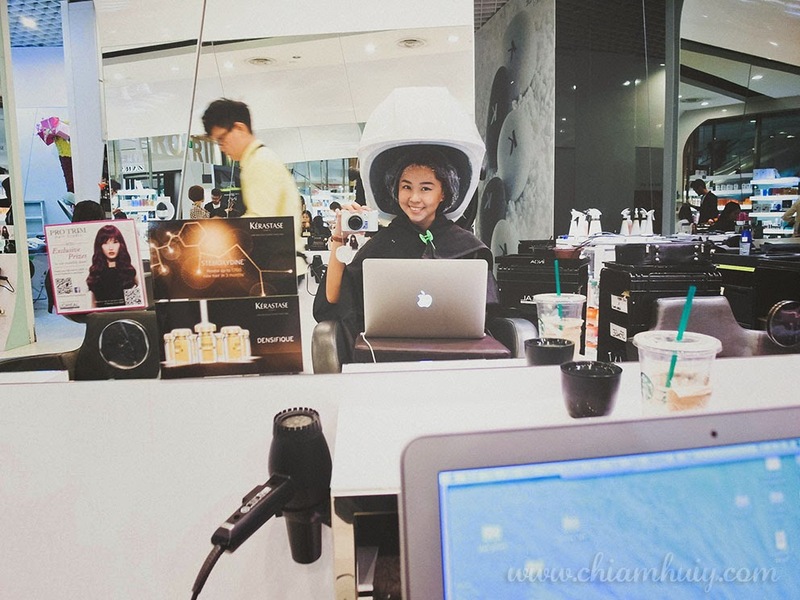 And as usual right after the colour, I opted for my favourite hair treatment, Mucota Treatment. 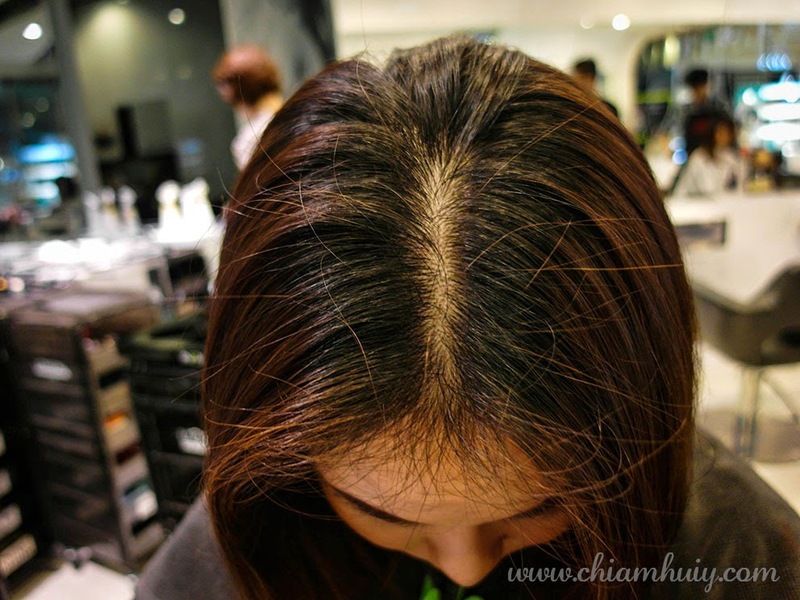 I've explained about the treatment in my previous post before so check out how Mucota hair treatment works. AND HERE'S HOW IT LOOKS!!! A week has past and my hair colour is still doing good. 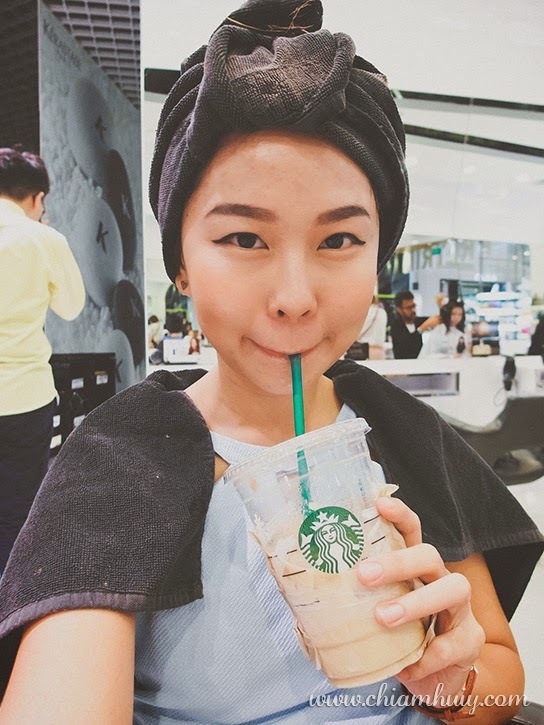 I am still very worried about how the colour will fade, so please do use colour shampoo to prolong and protect your hair color! 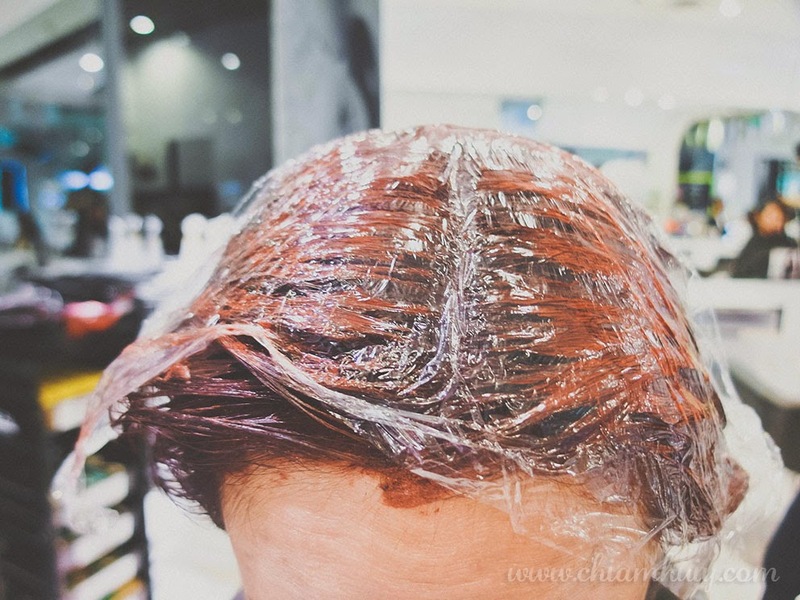 You wouldn't want your money gone down to waste by saving on colour shampoos that are relatively much cheaper than dyeing your hair. 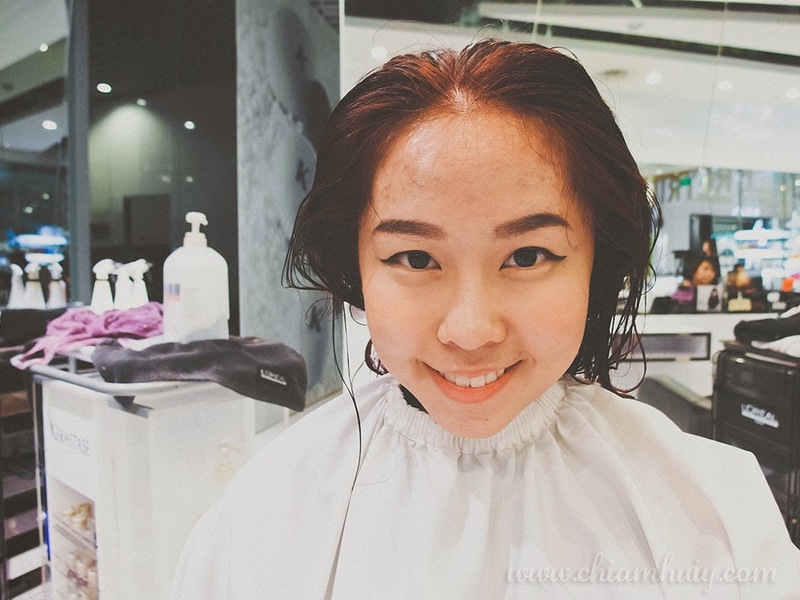 To be really really straightforward with you, not using colour shampoo will definitely bring forward the demise of your hair colour much faster, so don't forget colour shampoos for dyed hair! Some shots I took for instagram. I've been receiving quite a bit of compliments of my colour and many have said it looks good on me! 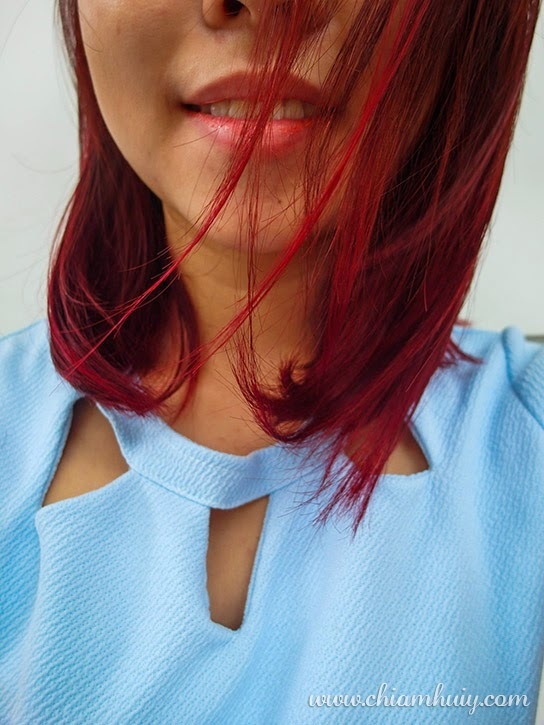 Thank you everyone hehehe :B It's my first time dyeing my hair red and I seriously have no regrets about it. In fact I don't know what took me so long to realize I can actually pull off such a bright colour! I guess it's all about experimenting with the right dye of course. 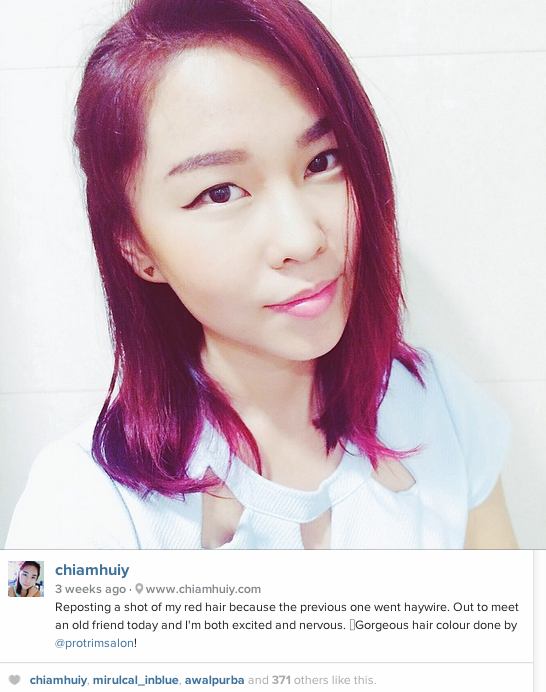 I doubt simple DIY dye kits can obtain such a result, especially when we asian have dark hair. If you would like to have a change (for good), perhaps you should visit a professional hair salon to do it. New year calls for a new colour. Red makes me look fresher and more alert. 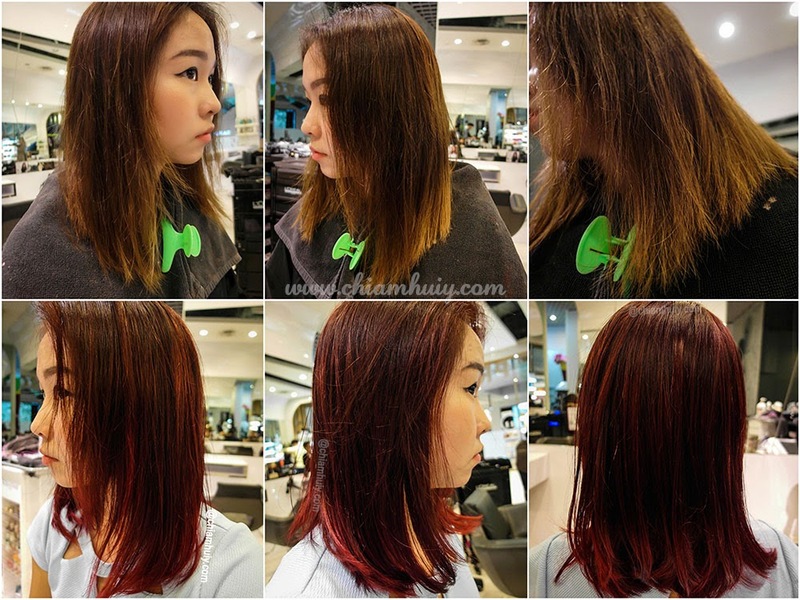 Make sure you find the right person who knows all about colours and hair, and I personally recommend ProTrim. 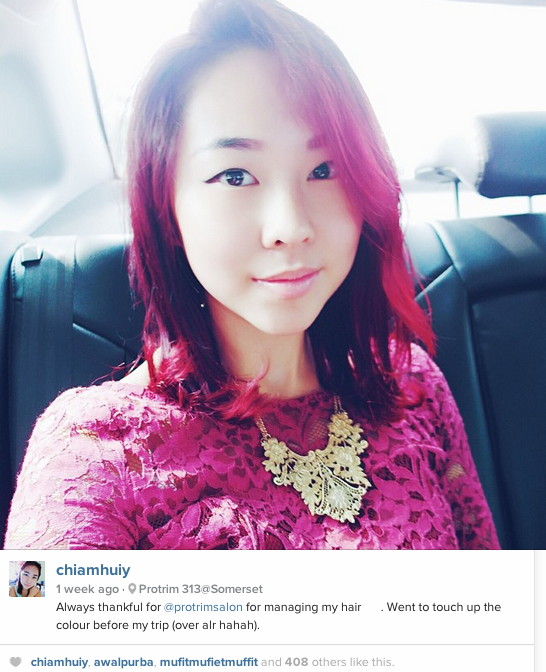 Do look for Selyn, my hair colourist! If you don't mind me asking, what colour will that red hair fade to?